Should I buy a hydrogen car? 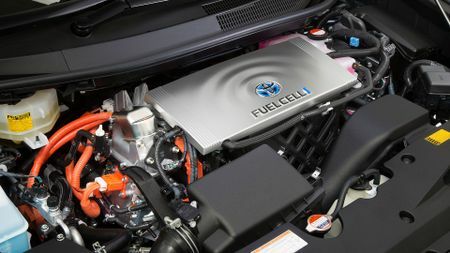 There’s no secret that hydrogen-powered cars are being developed, but how do they work, what are their pros and cons, and should you consider one as your next car? Petrol and diesel cars have served us faithfully for well over 100 years, but we all know they’re not The Future. Which begs the question: what is? Well, for many people, the answer is a hydrogen car, and there’s no doubt they have their benefits. Above all, they have zero CO2 emissions – in fact, the only by-product of the chemical process that drives the car is water – but importantly, and in direct contrast to most electric cars, that lack of emissions is allied to a decent range in the real world. You should be able to get at least 300 miles from a tankful of hydrogen, which should cost much the same as a tank of petrol or diesel. 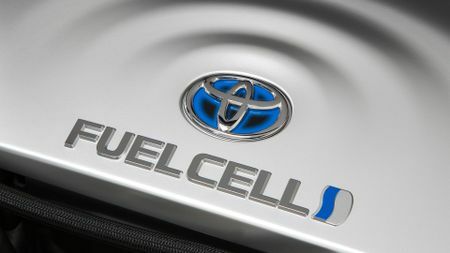 A hydrogen car will work out as no more expensive to run than a more conventional car. There are some other financial benefits, too. 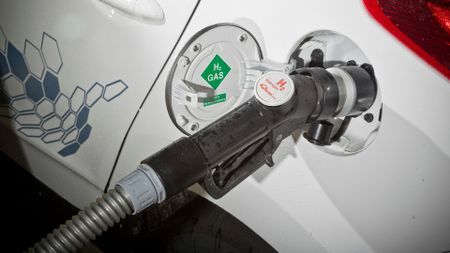 Not only is a hydrogen car exempt from the London congestion charge, its low emissions mean it incurs company car tax at the lowest rate. However, you do have to bear in mind that, at the moment, this technology is very expensive, so you (or your company) may need to be able to call on some sort of subsidy to afford the car in the first place. Worse still, thanks to there only being a handful of hydrogen filling stations in the UK, it’s far harder to find somewhere to fill up a hydrogen car. Which is a shame, because – in terms of the sheer mechanics – is every bit as easy to do as filling up a conventional car. Apart from that limited infrastructure, living with a hydrogen car is perfectly easy. 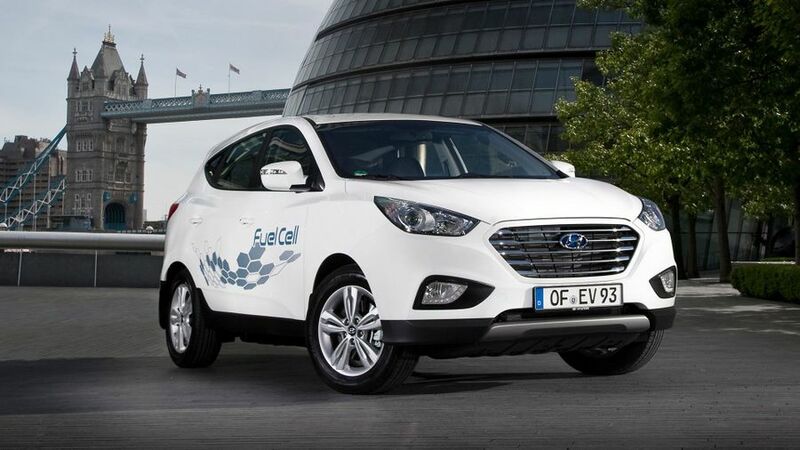 Essentially, a hydrogen car is an electric car, and that means it’s a very relaxing way to get around, with no shortage of performance, and plenty of refinement. 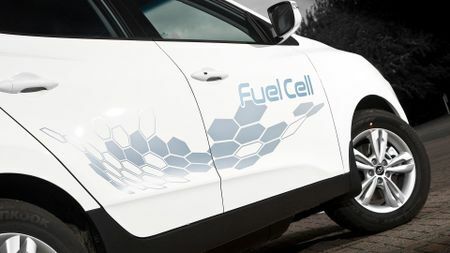 For the moment, only a few people will be able to overcome the barriers to running a hydrogen car – mainly logistical and (because of the high price of the car) financial – but could you be one of them? Watch our film above to find out. If you want to find out more about alternative fuel cars, visit our Electric and Hybrid cars page. Interested in buying a Toyota Mirai? What’s the cheapest car to run? How can Auto Trader’s model overview pages help you? Should I buy a pre-registered car? How can codes of practice help a car buyer? How do you complain if there's a problem when buying a car? How do I time the purchase of a car with the sale of my old one? Which documents do I need when I take delivery of my new car? How do I arrange a test drive? What’s the difference between the On The Road and List prices? When is the best time to look for deals? How do I know I’m paying the right price for my new car? What is a Pre-Delivery Inspection (PDI)? How should I time the sale of my existing car with the delivery of my new one? Where should I buy my new car? What happens if there are delays in delivering your new car? What do I need to do before a test drive? What use are Car configurators? How do I test drive my next new car? Can I take an extended test drive?